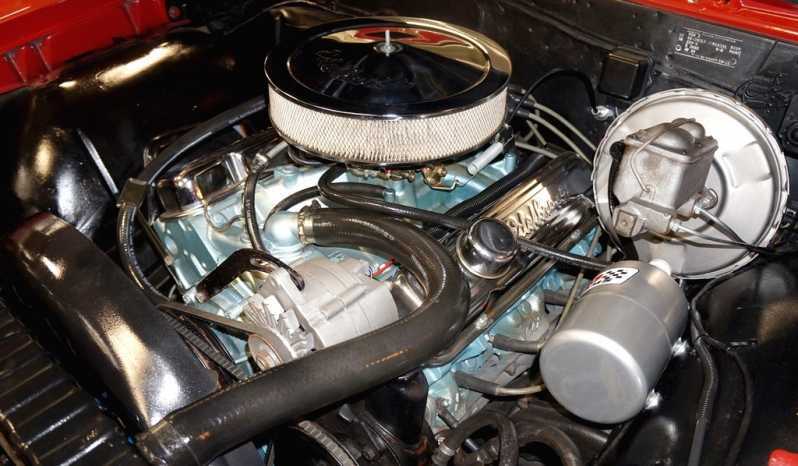 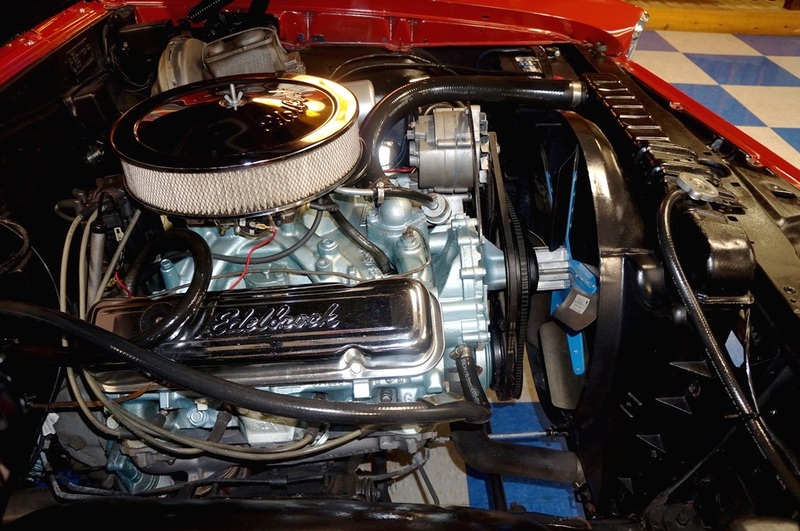 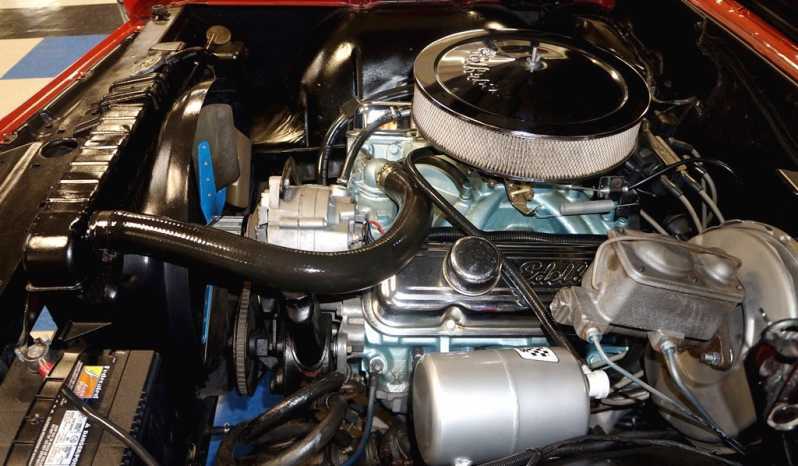 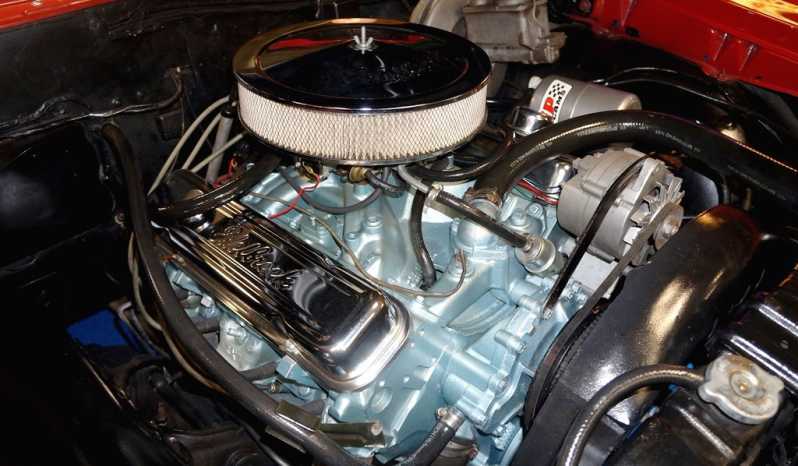 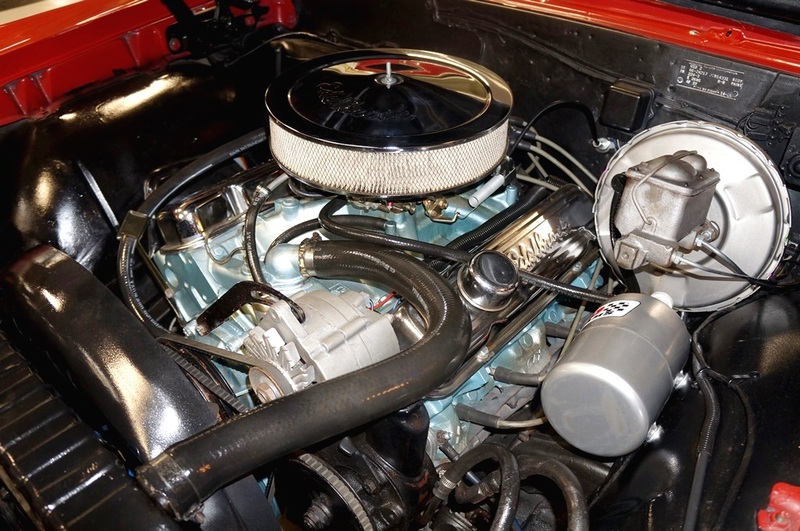 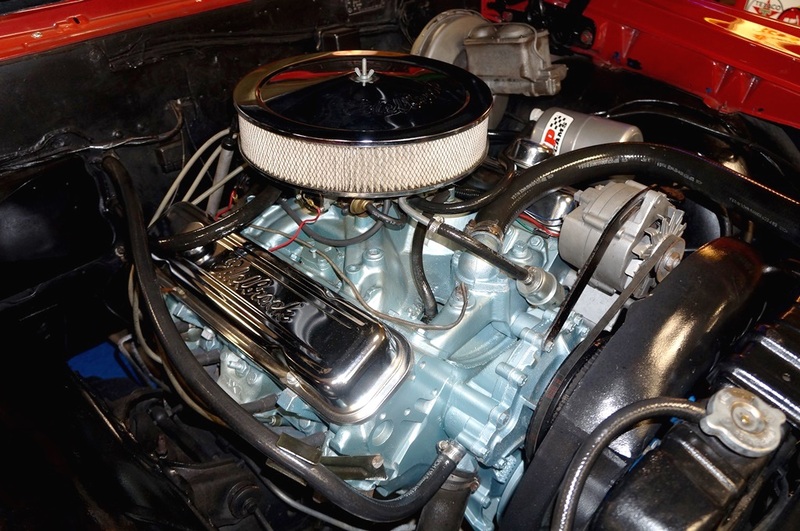 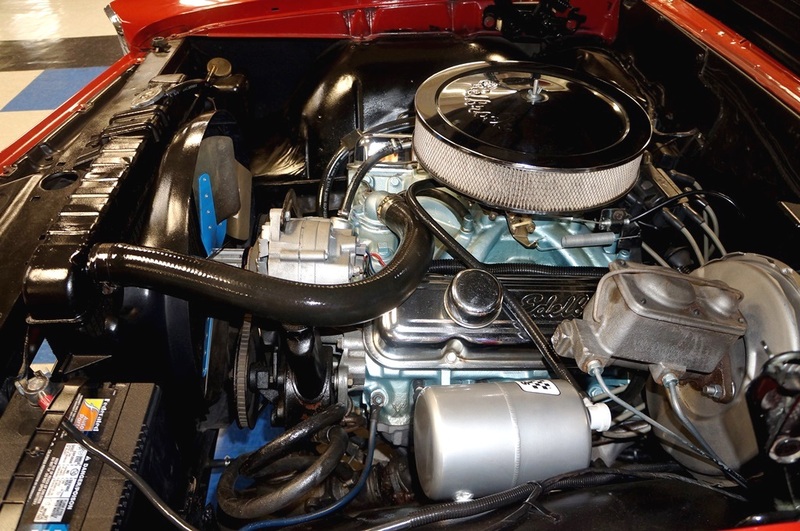 455 cui engine. 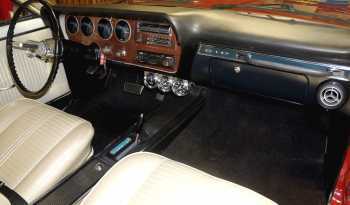 Automatic transmission. 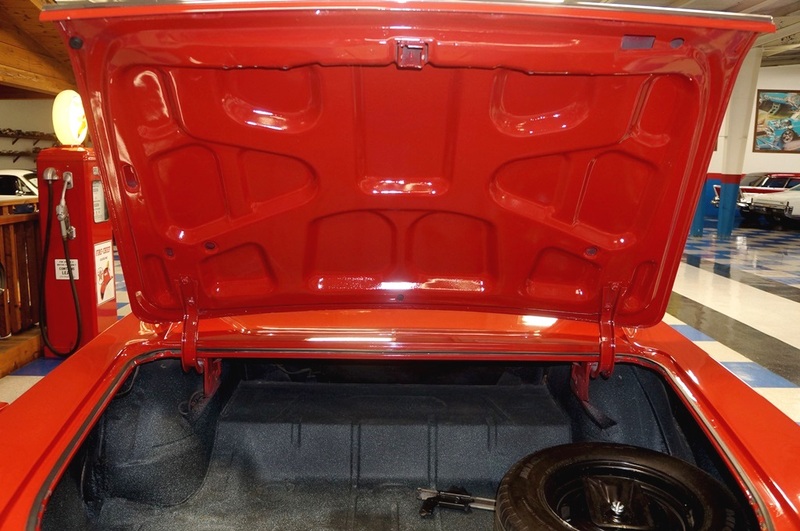 10 bolt rear end. 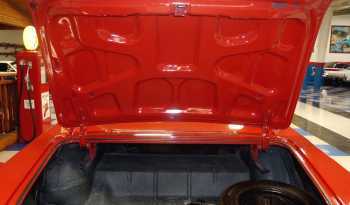 Painted factory Montero Red (code R). 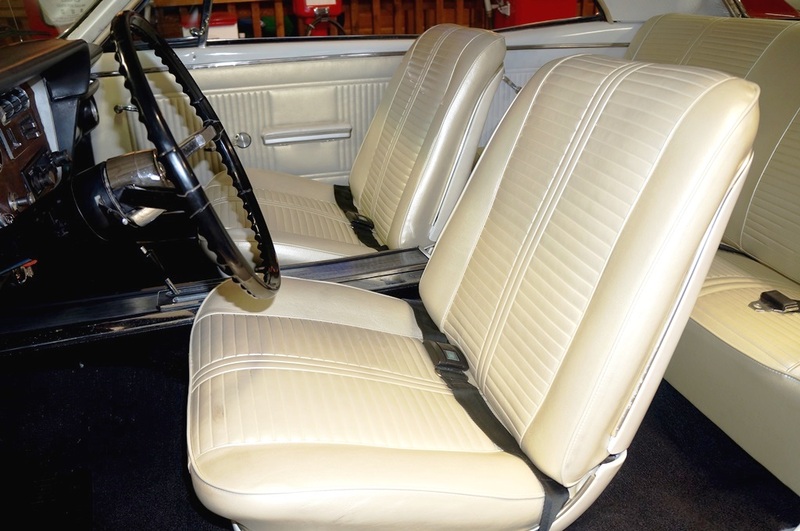 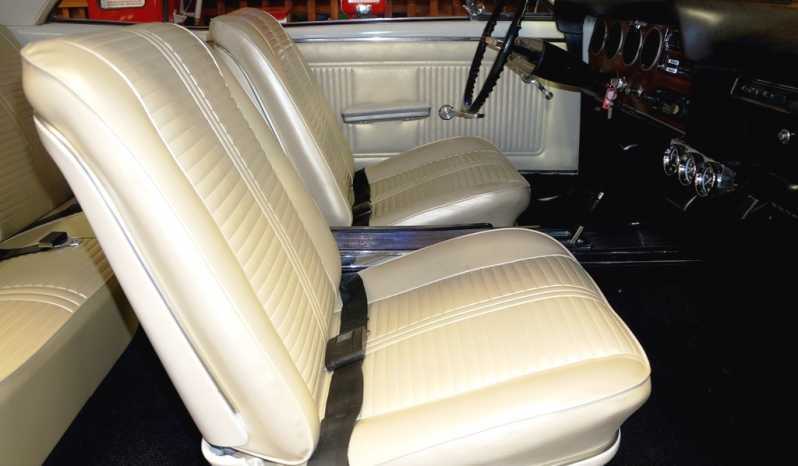 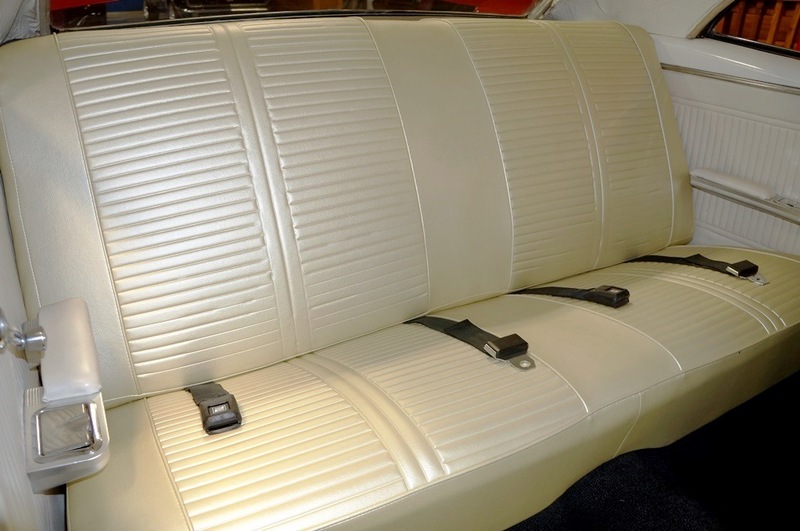 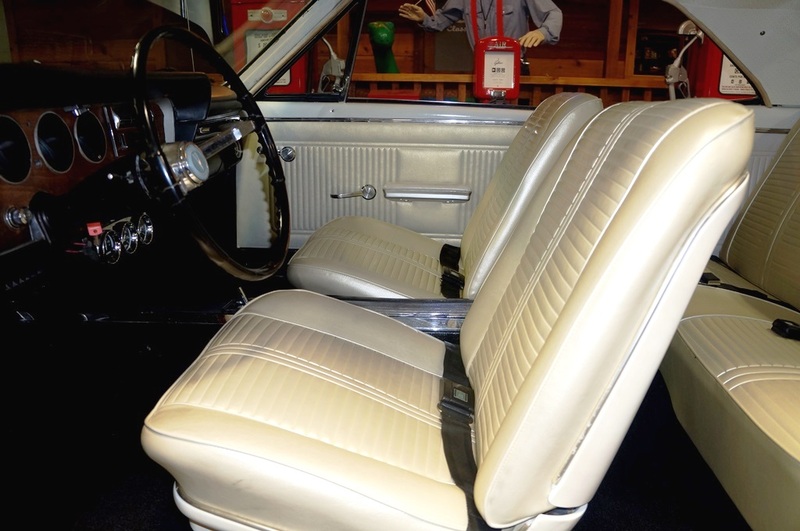 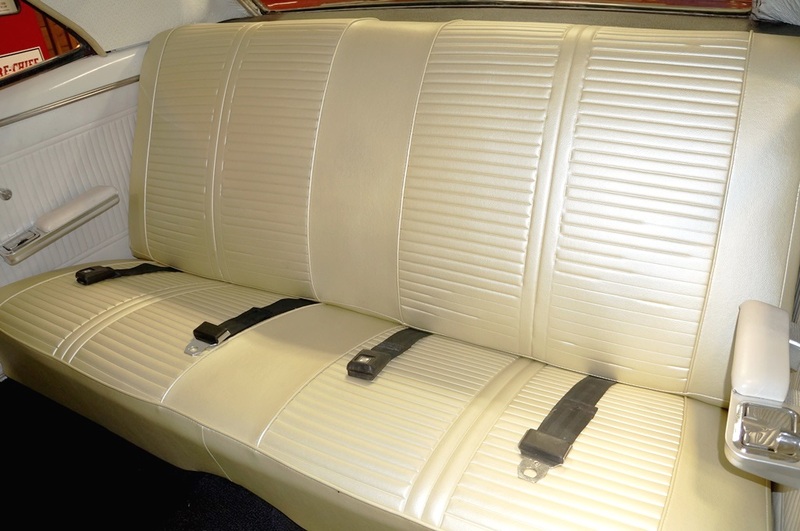 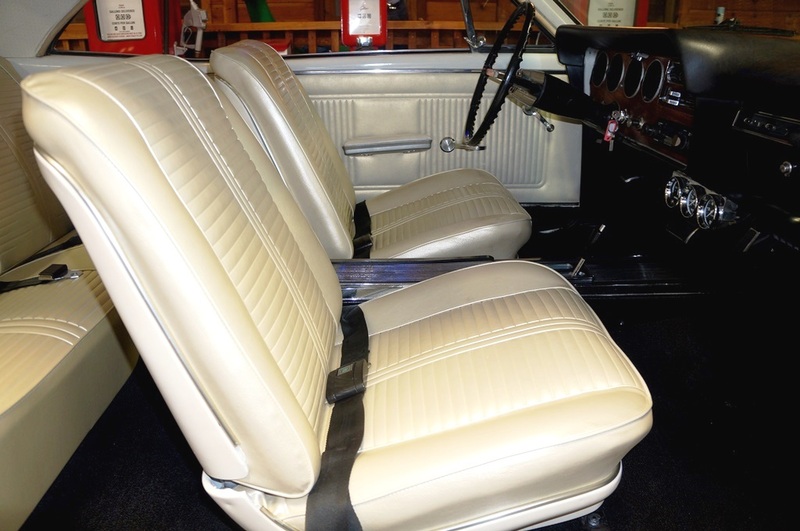 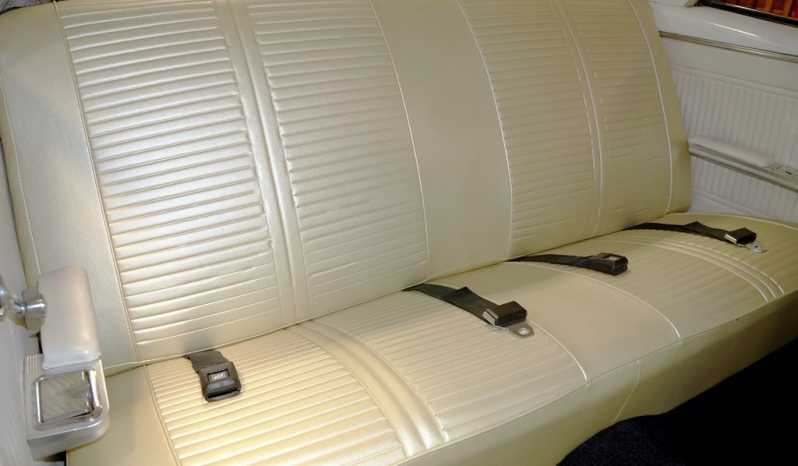 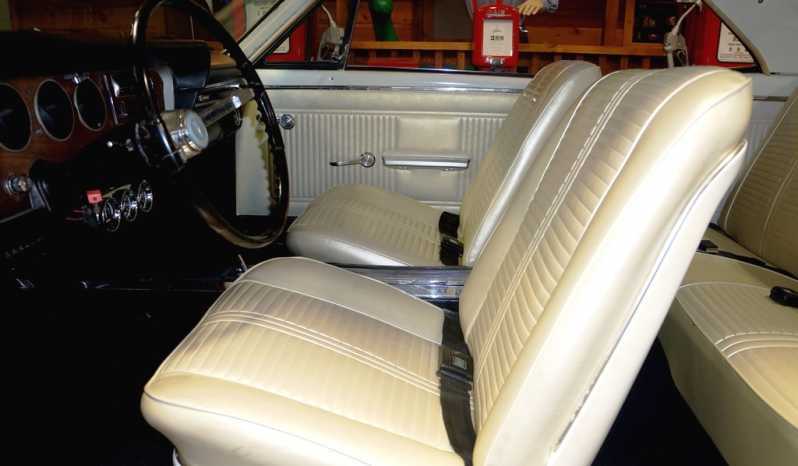 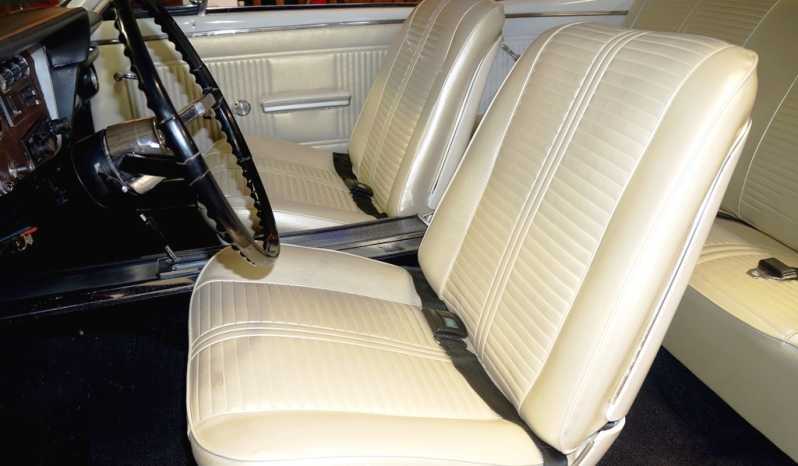 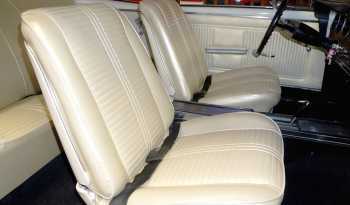 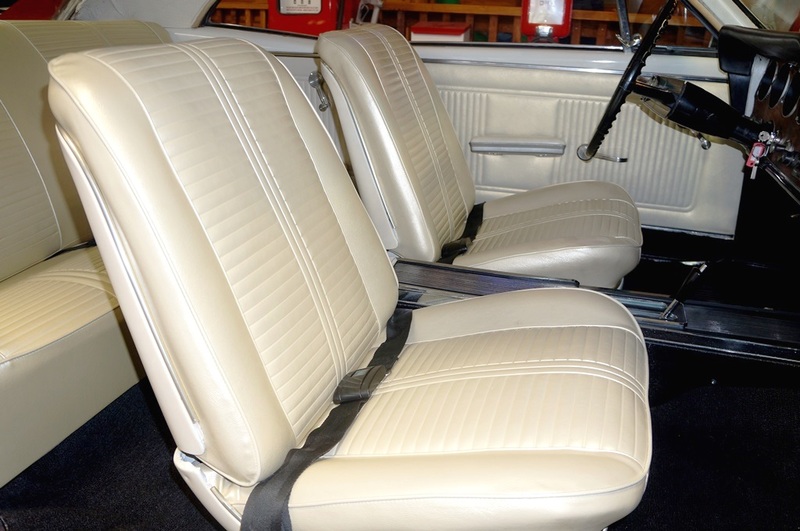 Factory Parchment bucket seat interior (code 224) with center console. 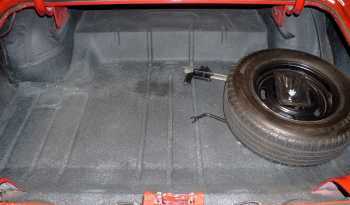 Power front disc brakes with vacuum canister. 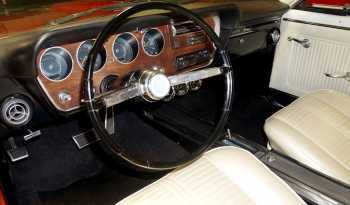 Power steering. Pypes dual exhaust with manifolds. 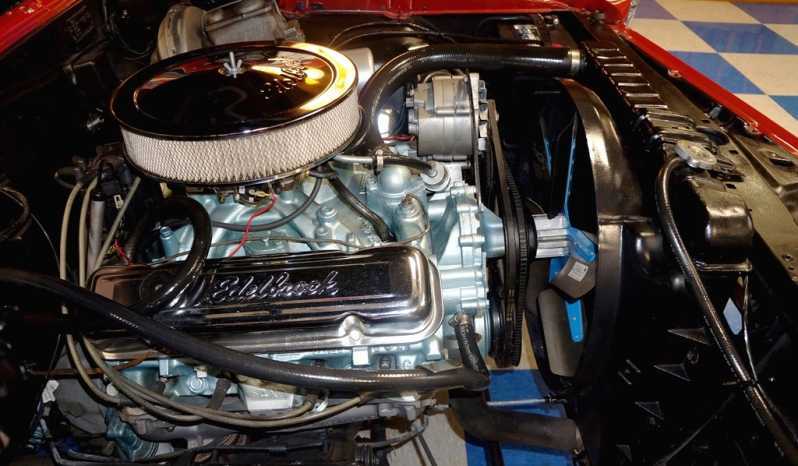 Edelbrock intake / valve covers / air cleaner. 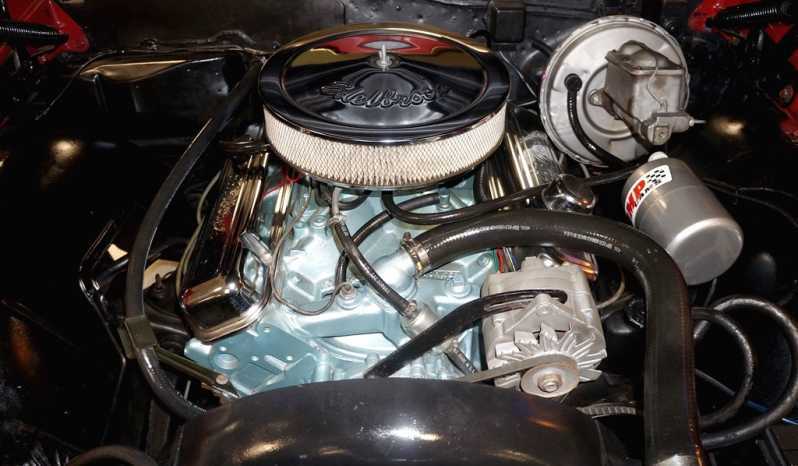 Holley 4 barrel carburetor. 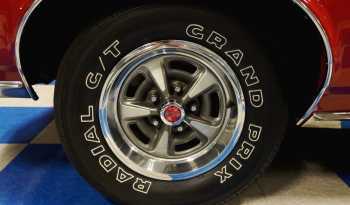 HEI. Front sway bar. 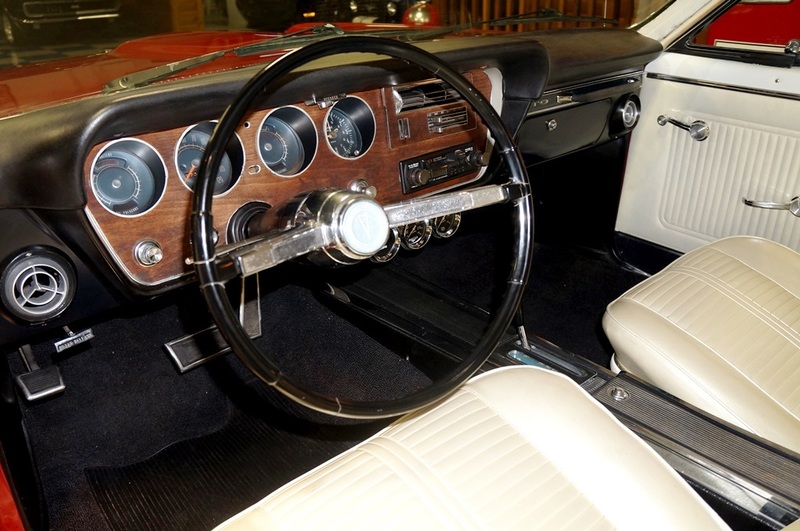 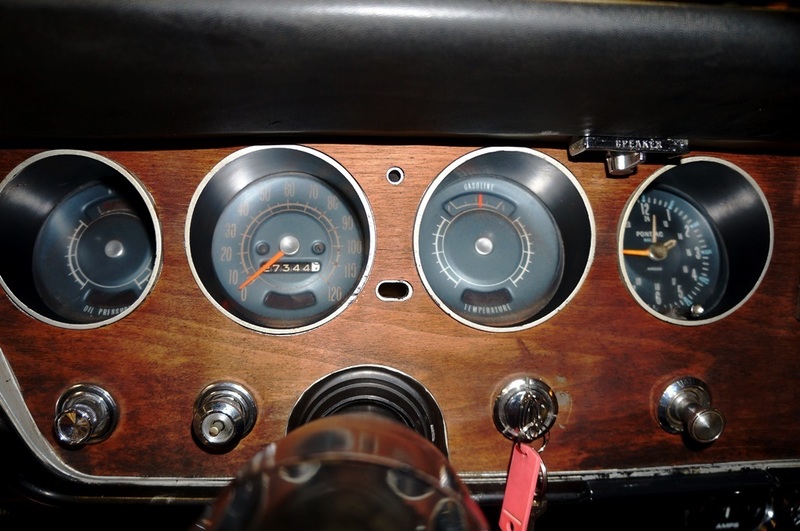 Wood-grain dash. 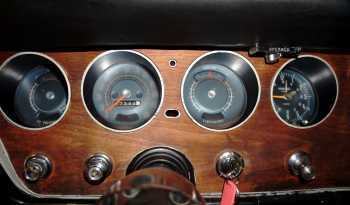 Autogage under-dash cluster. 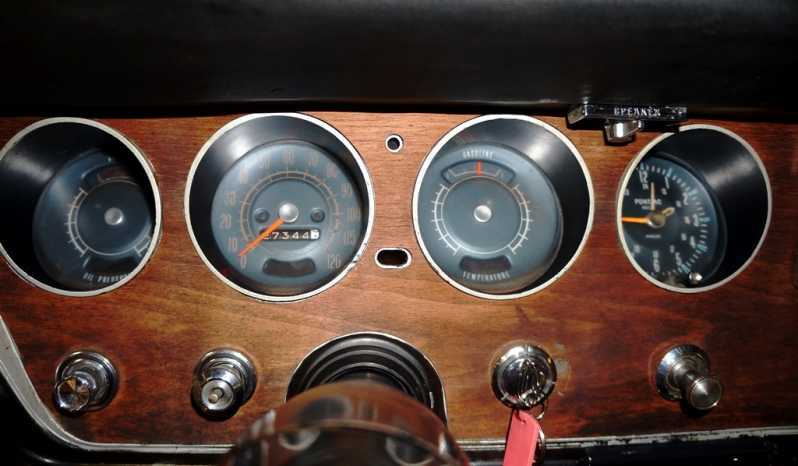 Factory in-dash clock (in-op). Padded dash. 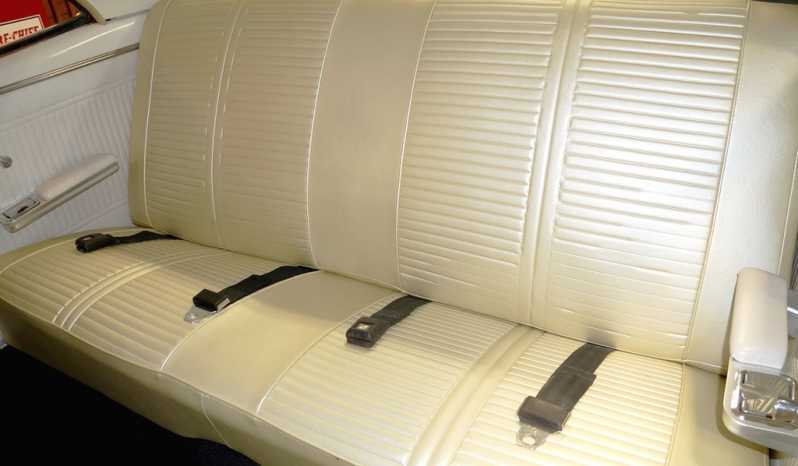 Front / Rear lap belts. 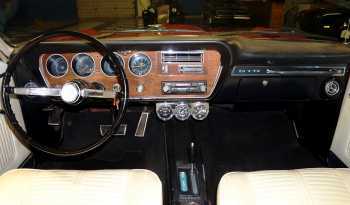 Legacy AM/FM/Cassette radio. 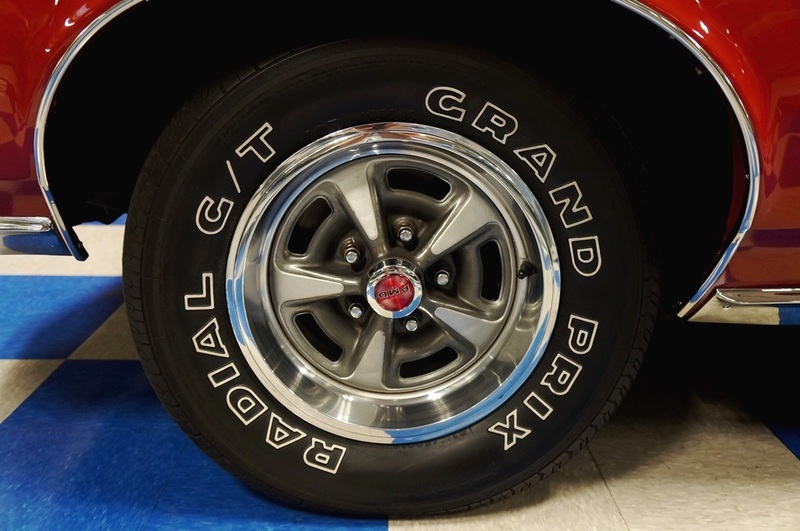 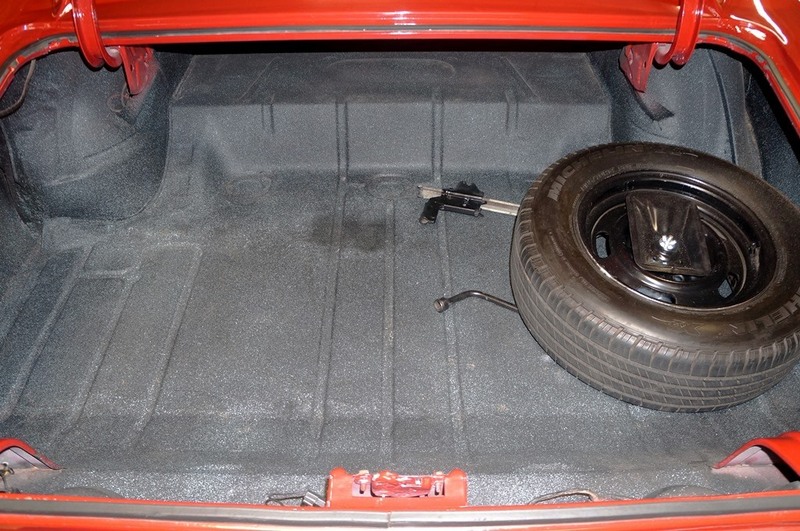 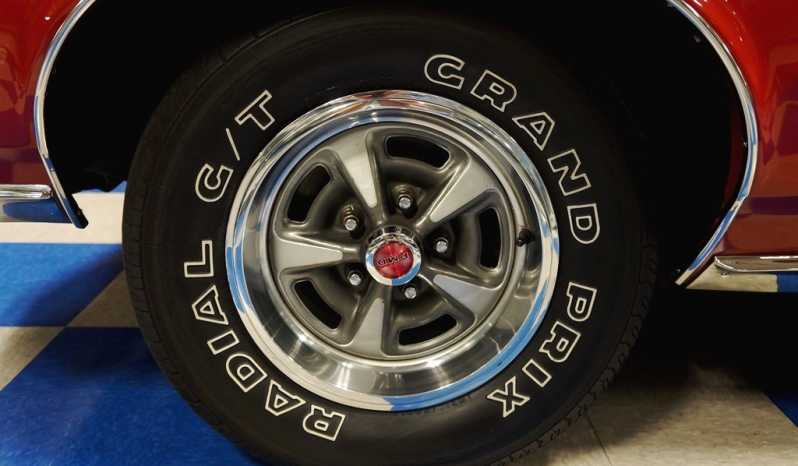 14″ Factory wheel with Radial tires. 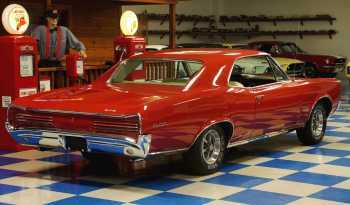 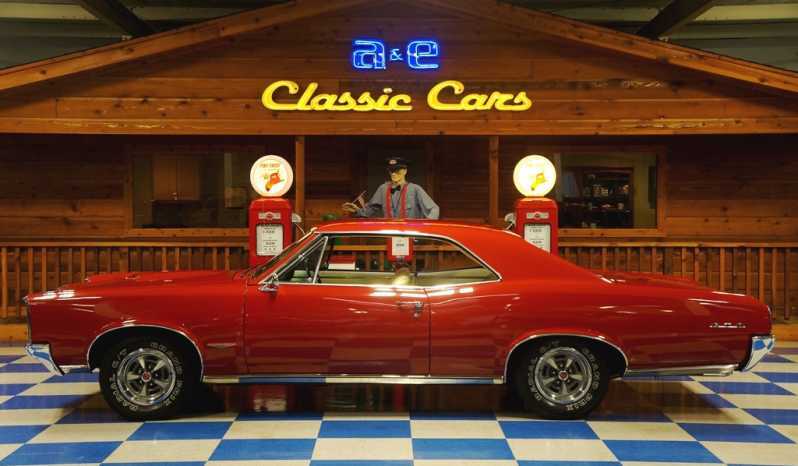 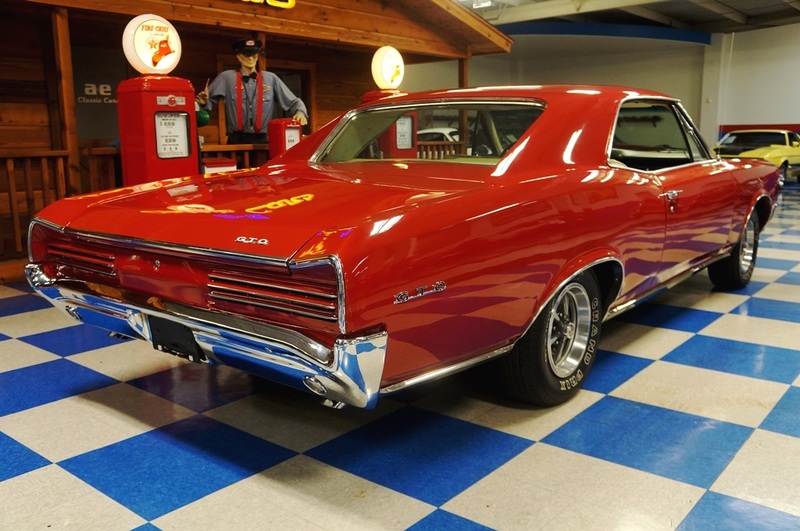 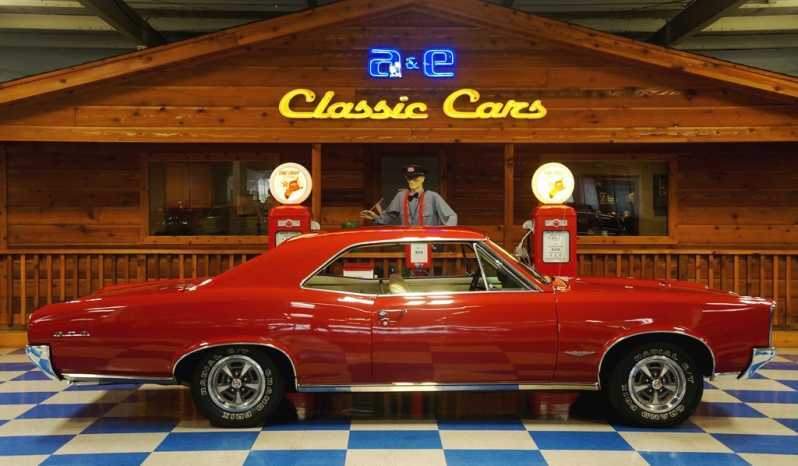 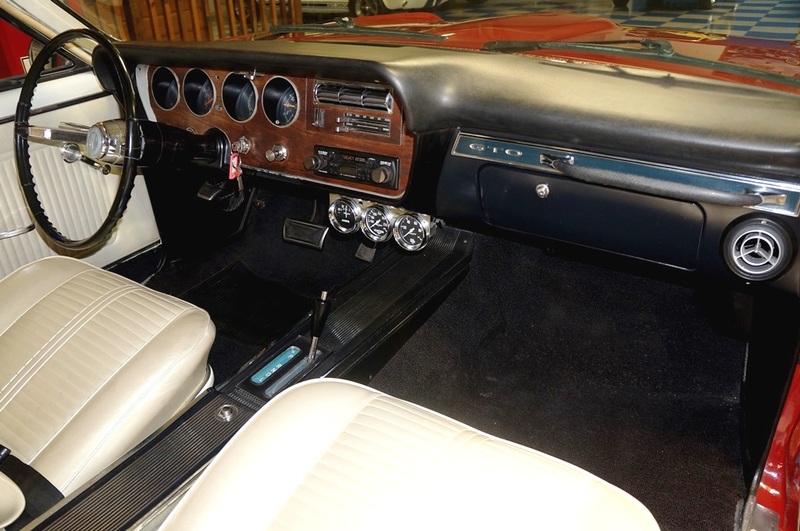 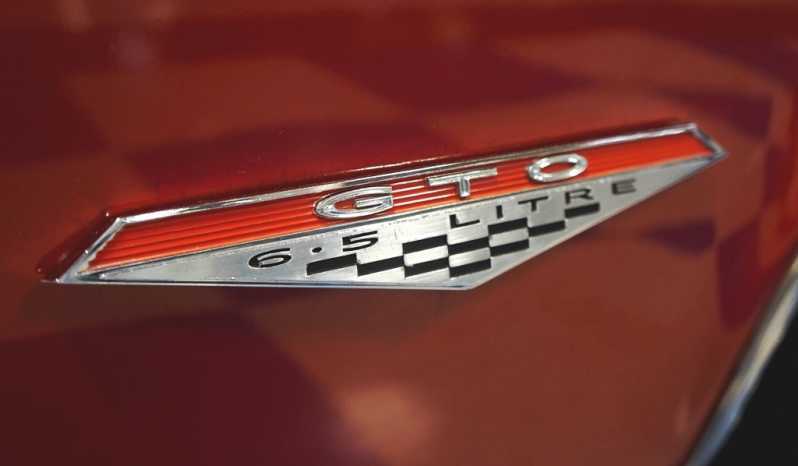 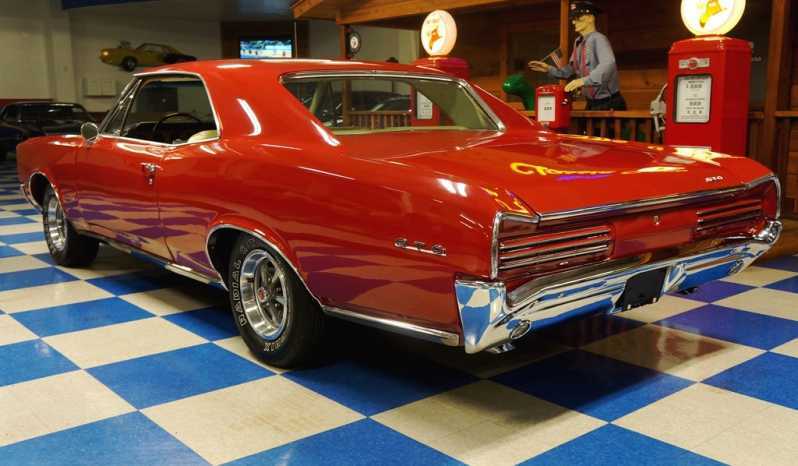 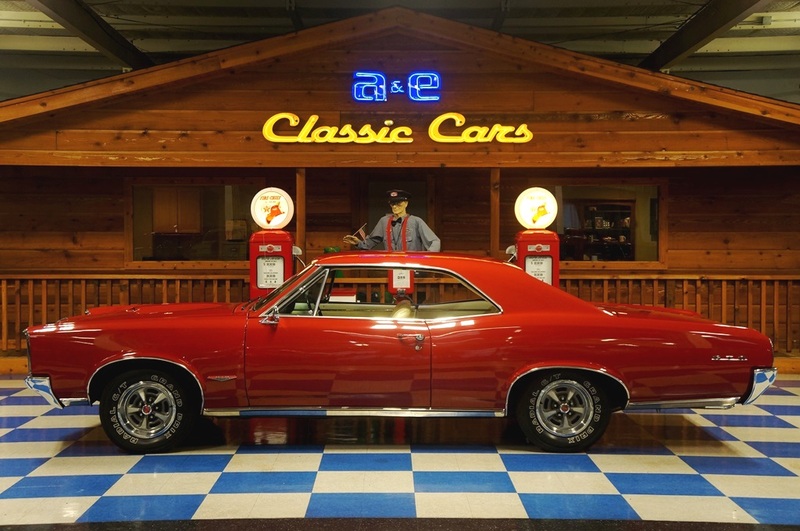 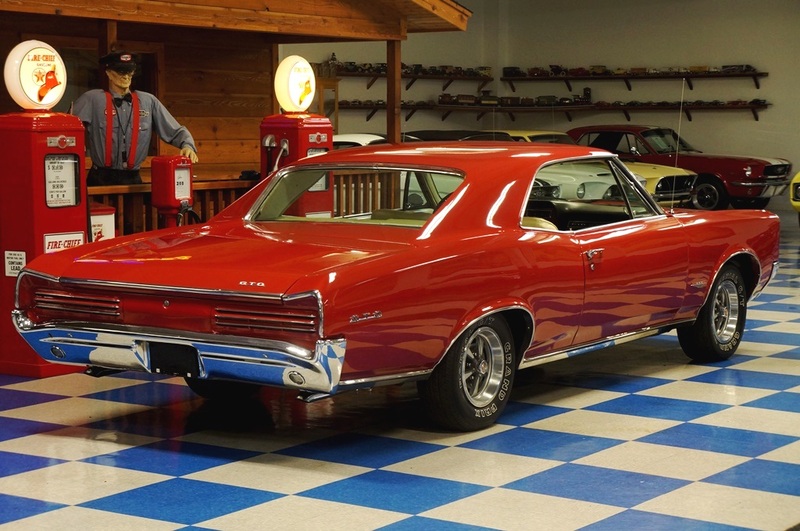 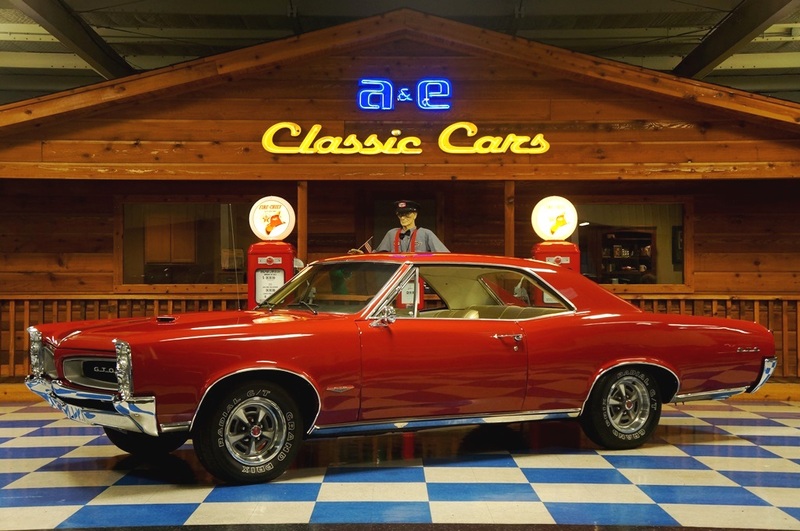 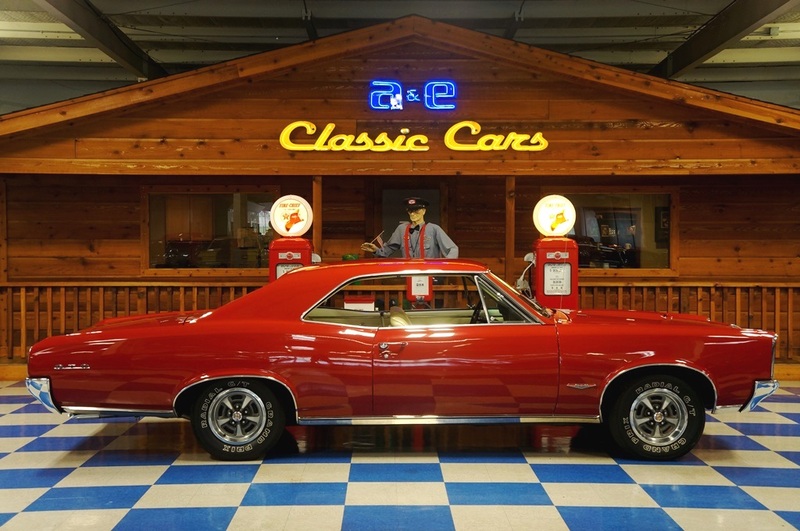 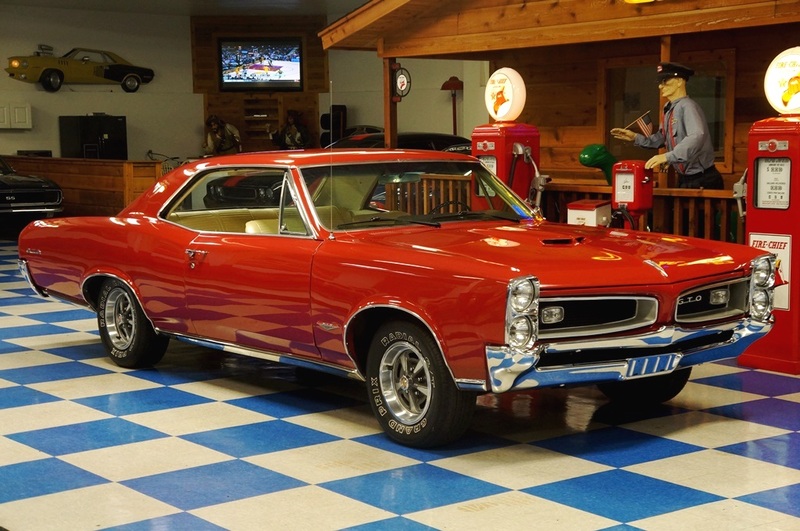 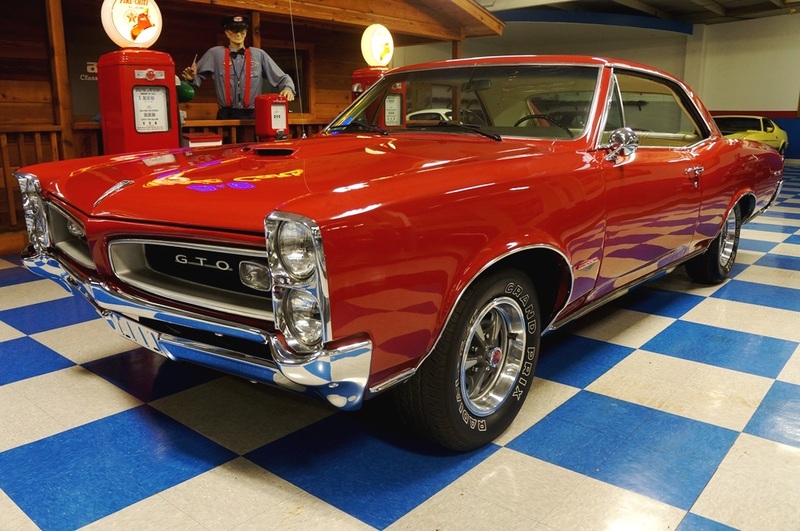 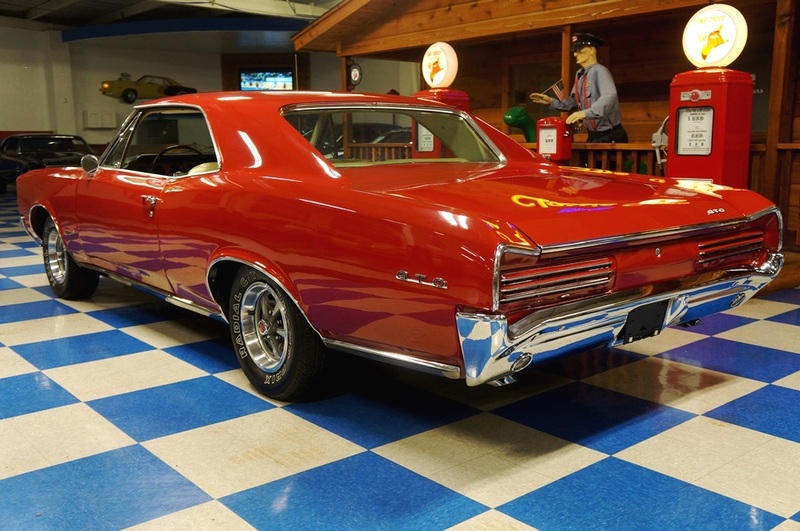 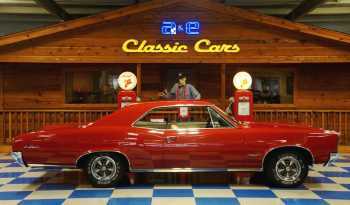 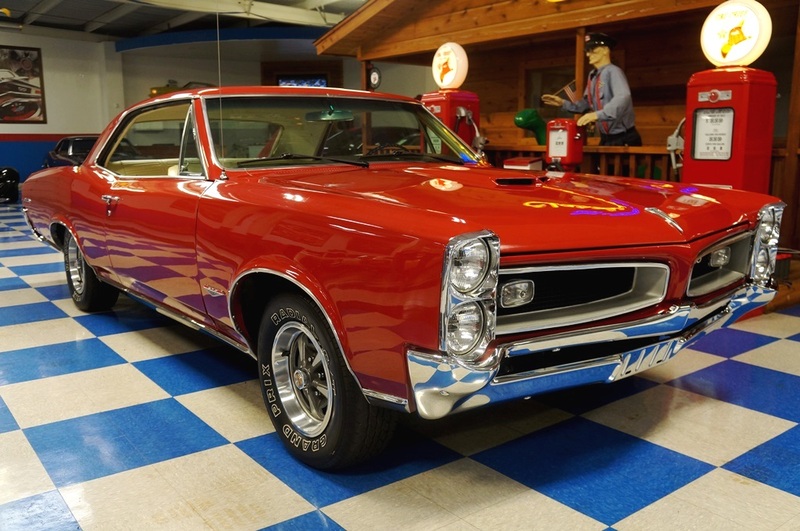 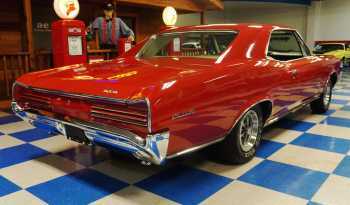 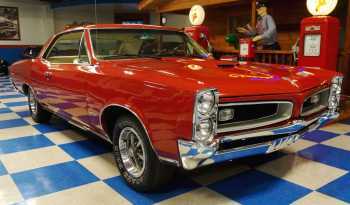 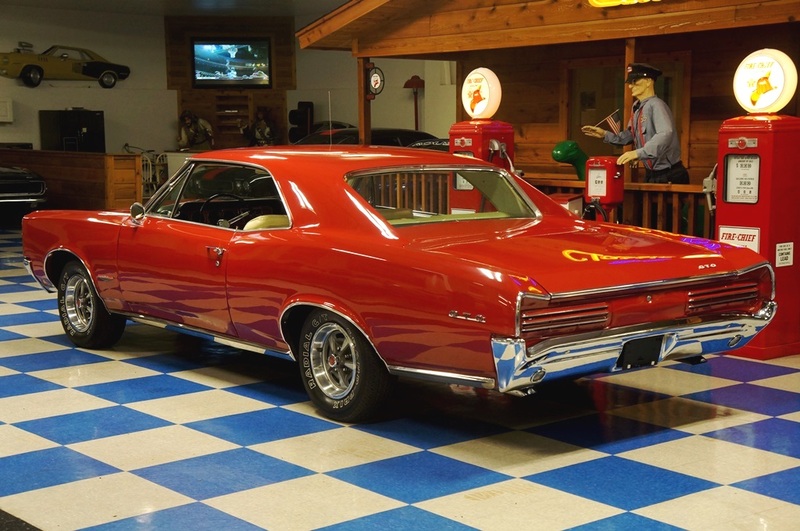 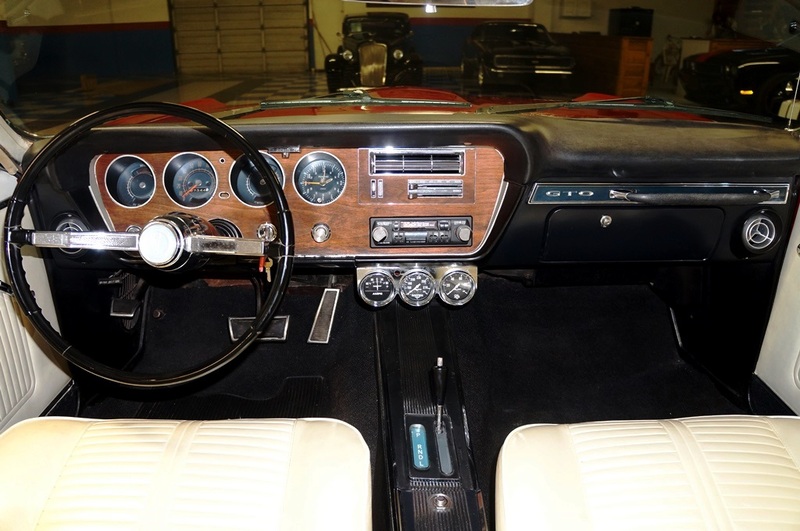 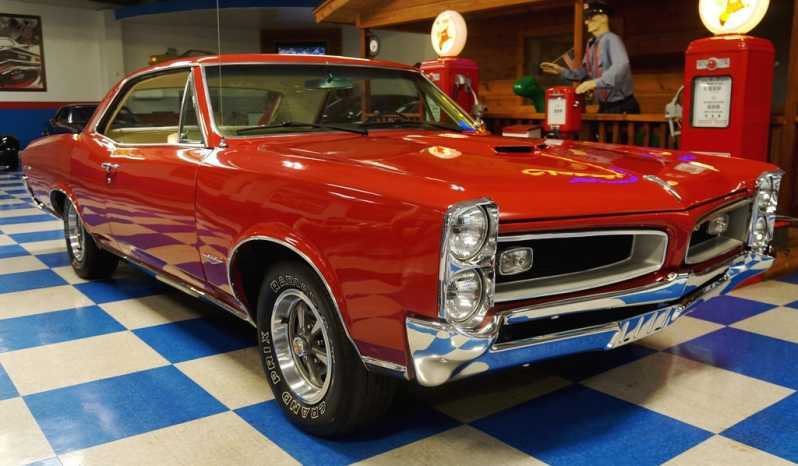 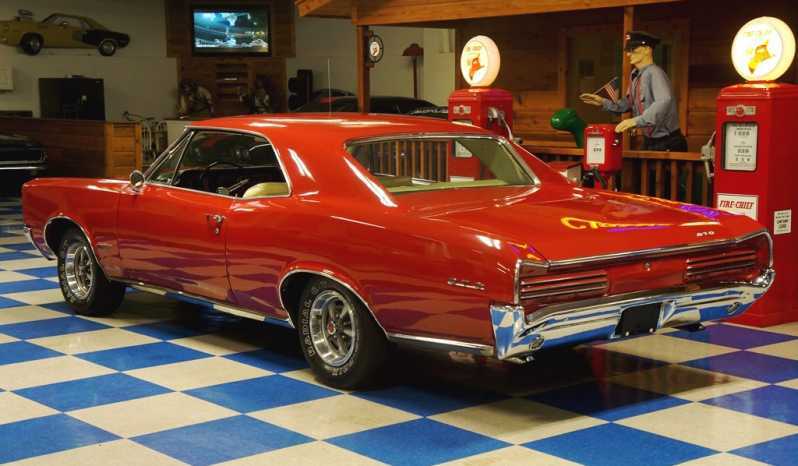 Call (830) 629-4843 for more information on this or any 1966 Pontiac GTO for sale in our inventory. 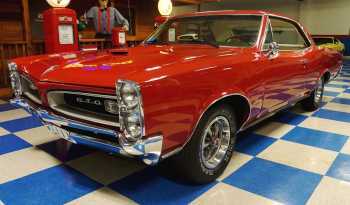 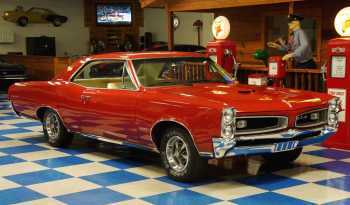 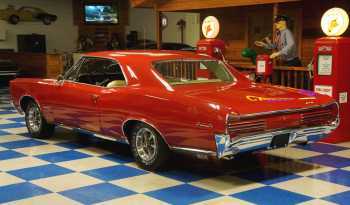 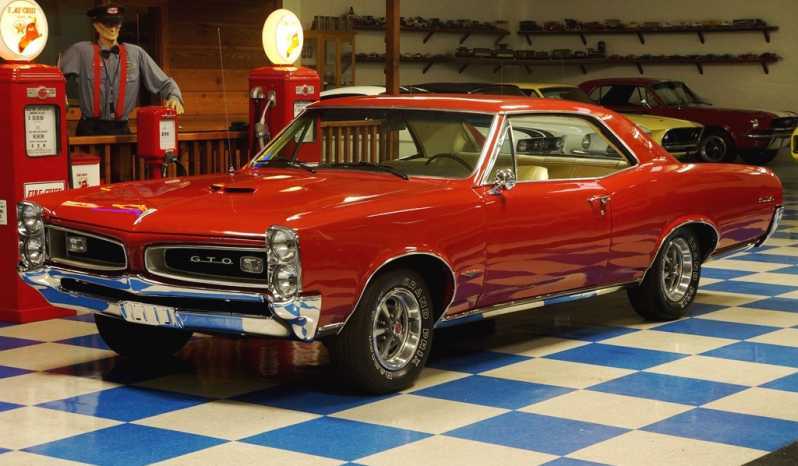 Real deal GTO that are getting harder to find .